Truth is I am tired today. This week I have practically moved from one house to another, gone to 4 appointments, one workshop, 2 playdates and been staying up late so I’m going to make this post brief. I have two simple recipes that anyone can whip up real quick. This is my kids favorite every time they are in Houston they ask Meme for the “toast”. Toppings – sliced strawberries, blueberries, blackberries, raspberries, chopped walnuts, pure maple syrup, Agave or honey. Preheat griddle or nonstick pan. Beat eggs thoroughly, add milk, cinnamon, vanilla and stir. Dip bread in egg mixture and then put a thin slice of Earth Balance Spread in the pan for each slice. Sprinkle with cinnamon. Turn when brown adding another slice of Earth Balance Spread in pan. 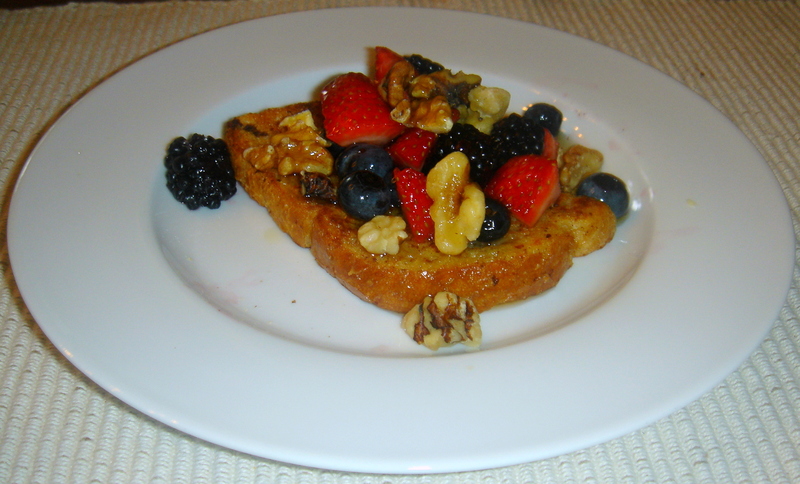 Serve with toppings of choice berries, walnuts and a drizzle of pure maple syrup, agave or honey. 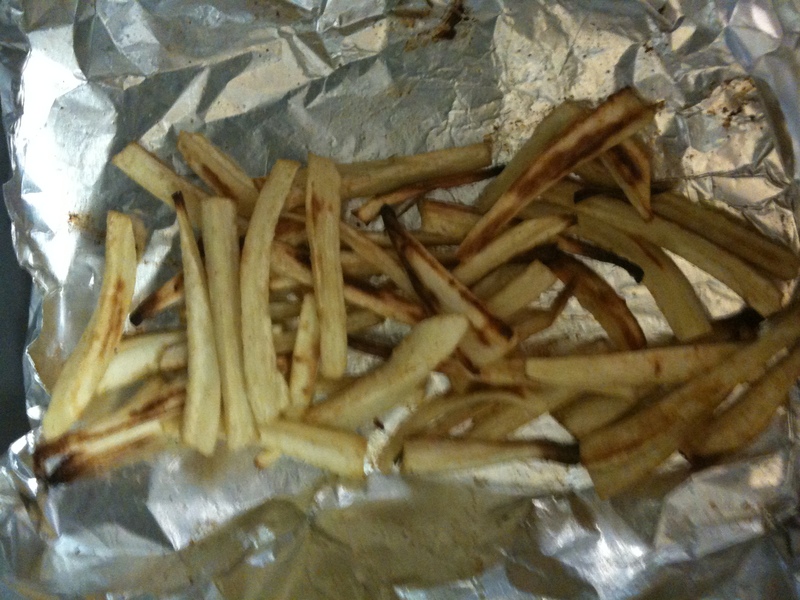 Kids love fries and we try a new vegetable or at least a new vegetable recipe few times a month. This recipe was a hit and is so simple. Bake on greased baking sheet or on foil for 30-40 mins, turning every 15 mins, until brown and tender.